It is an inevitable truth that only quality apparel cannot enhance the beauty of the wearer. There are certain additional accessories that one needs to put on in order to make their look stand in the crowd. There are different accessories that one can opt for but one of the most important and unavoidable part is a great classy looking footwear or shoe. There are different important divisions when it comes to quality shoes. Several shoes are allotted for different specific occasions and it also varies with gender as well. Thus, different shoes are there for men in accordance with ladies footwear. When we talk about formal shoes, then boots, wingtip shoes and formal boots deserve mention. But, there is yet another important category which must never be forgotten. That is men's spectator shoes. This is surely a traditional beauty which comes with a modern touch in it. 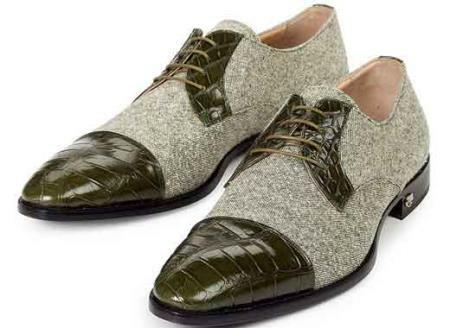 It was in the year 1868, when spectator shoe was first invented by John Lobb, who is a well known English shoe maker. He claimed to invent this kind of shoe which was previously known as cricket shoes. The main raw component which was used for manufacturing this shoe is leather and previously it was the leather of willow calf which was used for manufacturing these products. Later, other materials such as suede, mesh and more were used to manufacture different kinds of shoes. Mesh material is white in color and it was used for manufacturing the top layer of the shoe as it is light in material and can be used for creating ventilation during hot weather condition. Later, it was in the 19th century when the popularity of spectator shoe starts flourishing and it gained its utmost popularity during 1920s to 1930s. Look for the authenticity of the online store in order to avoid any fake site or scam. Check for the reviews posted on the walls of the official site from the customers. You can also ask your family or friends for a reputed online store to rely upon.